Research shows that countries that consume greater amounts of black tea have decreased levels of obesity. The antioxidants in black tea help to increase weight loss, by supporting your metabolism and helping the body to burn fat more efficiently. The antioxidants in black tea helps to reverse the damage caused by everyday life, the sun and poor eating habits; making your skin look more youthful, vigorous, and glowy. 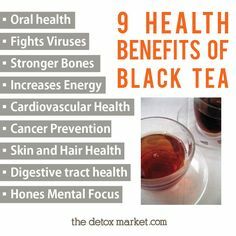 The antioxidants in black tea, helps to stop plaque acceleration on your teeth, allowing you to maintain a healthier mouth and keep your breath fresh at the same time. Note: Wikipedia states that black tea is a type of tea that is more oxidized than oolong, green and white teas; and that all four types are made from leaves of the shrub (or small tree) Camellia sinesis. Do you have a pimple that has just made an unwelcoming appearance on your skin? Place a warm teabag on it for about 7 to 10 minutes. Remove the teabag but don’t rinse off the tea. A cotton ball and some warm or cool black tea is all you need to refresh the skin morning or night. Do not rinse. Use black tea to decrease pores, and give your face a natural, beautiful glow. Take 1 black teabag, place into cup and add water. Take the teabag out of the cup. Soak a soft face cloth into the tea. Squeeze out the cloth and place it onto your face for 20 minutes. Rinse your face with lukewarm water and apply a moisturizer. 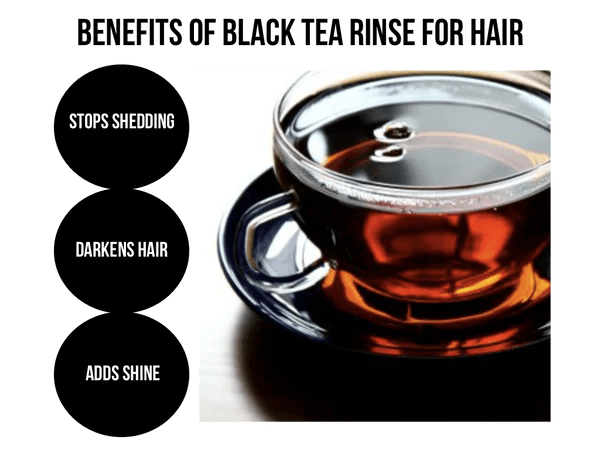 FYI: Black tea darkens hair and brings out natural highlights. It’s recommended that you let the tea steep for a few hours or over night. Take the tea and pour it on your hair or use a spray bottle. After it has set for 20-30 minutes, add your favorite deep conditioner directly on top of the rinse. Every 2 weeks, because some studies have shown that two much caffeine can clog pores and prevent hair growth. Note: Some hair bloggers stated that they’ve added the tea and then layered it with the conditioner for 20-30 minutes; achieving the same results. Warning: Black tea will stain, so be sure you’re wearing something old before starting. WOW! My thoughts exactly!!! 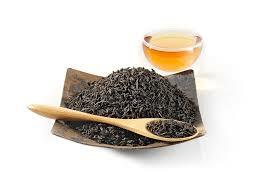 So enjoy yourself a cup of black tea, while cleansing your skin, and lavishing your hair. I had recently visited this blog and it is also very useful information about the benefits of Black Tea, which helps in increasing energy and also fights with viruses. Thanks for the wonderful information provided for us in the blog. You’re so welcome! Thank you for taking the time out to read it.